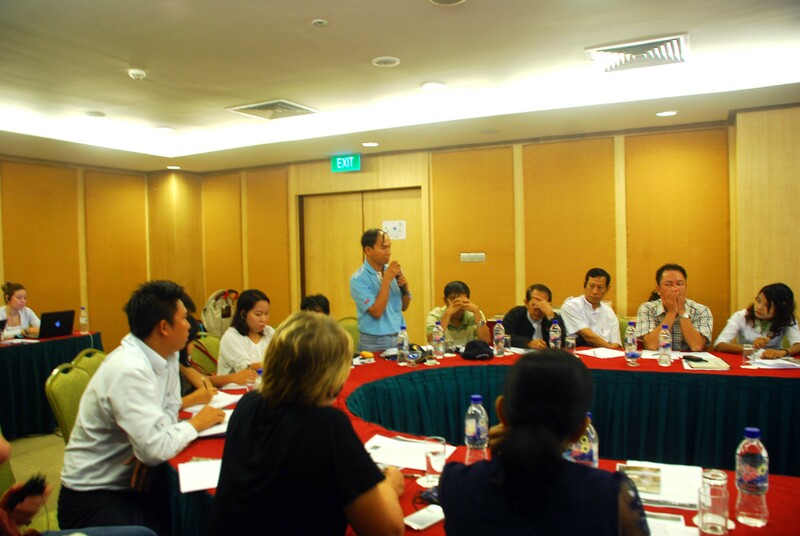 On 19 March, MMN held a project consultation meeting on the Bottom of ASEAN project with MMN project partners and participants from Cambodian labour unions and Burmese CSOs. 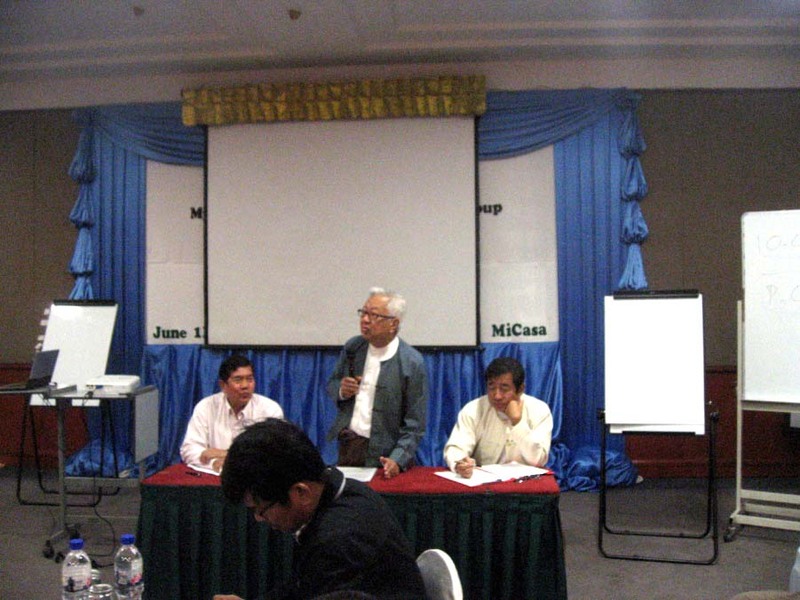 This meeting was an opportunity for workers, union leaders and civil society representatives to discuss the similar problems faced by workers in Cambodia and Burma/Myanmar, and the strategies that can be developed to address this. 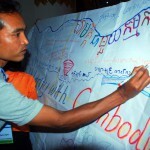 The main objectives of the consultation meeting were to jointly analyse issues related to exploitation in the global supply chain and a possible impact on labour and migration of rushed investment into countries with limited labour protection mechanisms, including Burma, Cambodia and Laos; to develop an initial set of recommendations to mitigate negative impacts and bring positive change as a result of the latest inward investment trends in the Mekong countries; and to develop the capacity of migrant and labour advocates from Mekong countries to monitor and analyse the issues of exploitation in the supply chain and to promote workers’ rights. The following speakers made presentations at the meeting. From MMN, Ms Tineke Baird presented the secondary research carried out by MMN into investment trends in Burma/Myanmar, Cambodia, and Laos, and the effect this is having on labour standards, and Ms Hkun Sa Mun Htoi, Information and Advocacy Officer, presented highlights from the Burma/Myanmar CSO consultation meeting which MMN organised in October 2013. Mr Bent Gehrt, Worker Rights Consortium, spoke about supply chains, rushed investment and its possible implications for Burma/Myanmar and the wider region. 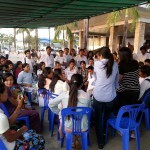 This was followed by an open discussion in which participants discussed the similarities between the issues facing workers in Burma and in Cambodia. Speakers from Burma and Cambodia then discussed the impact of the increased flow of foreign direct investment (FDI) on labour and challenges facing workers in Burma/Myanmar and Cambodia as experienced on the ground. Ms Thet Thet Aung, and Ms Mar Mar Oo, Generation 88, Burma/Myanmar, spoke of increased tensions between employers and workers in Burma. 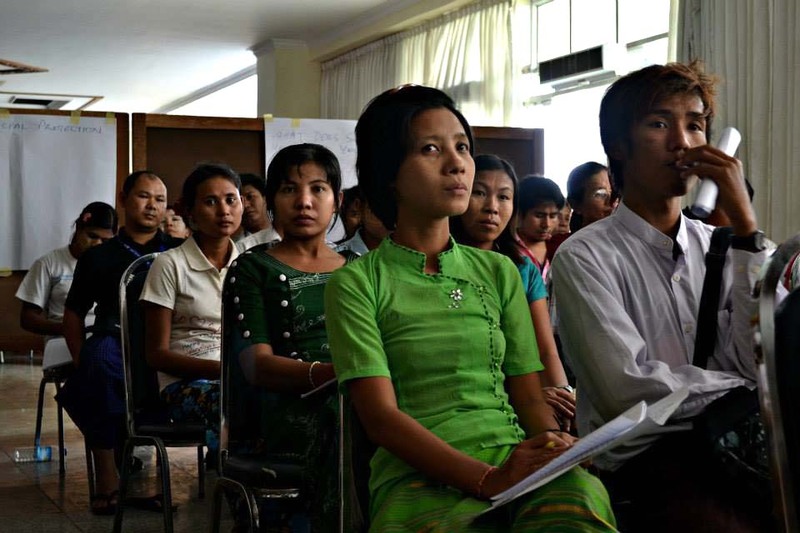 Workers in Burma want FDI in Burma so they can have more job opportunities, but they are worried the employer will not respect the rights of labourers and will not pay enough wages, problems that are already faced by many workers. They are also worried that skilled workers from other countries will come to Burma to work, which may lead to loss of opportunities for local people. Ms Thy Phalla, and Ms Sovatha Neang, United Sisterhood Alliance, Cambodia, spoke of the background to the recent strikes in Cambodia which were violently repressed by the military in January 2014, killing 5 people and injuring many more. 23 people were arrested and imprisoned and many people have gone missing. 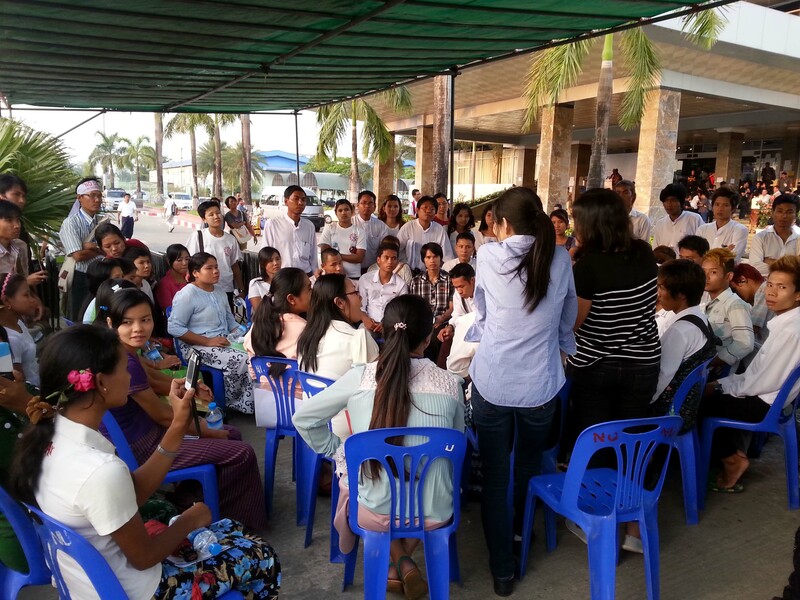 Cambodian workers are demanding minimum wage be raised to $160 as they cannot cover their basic needs with the current minimum wage. The government’s response to the strikes has shown that its primary concern is to protect the investors, rather than listening to the demands of the workers. The government may be also worried some investors will move to another country like Burma. Throughout the day, participants actively exchanged their views on the difficulties the workers face as well as strategies to challenge these, by discussing the positive and negative impacts of investment in the region and what could be done to encourage/prevent this. 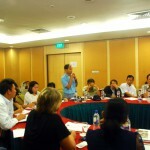 Outcomes of this discussion included important strategies, including incorporating labour standards into investment laws, raising workers’ knowledge of their rights, consumer awareness, networking between supplier and consumer countries, fostering respect between investors and workers, and most importantly, solidarity between workers in the region. 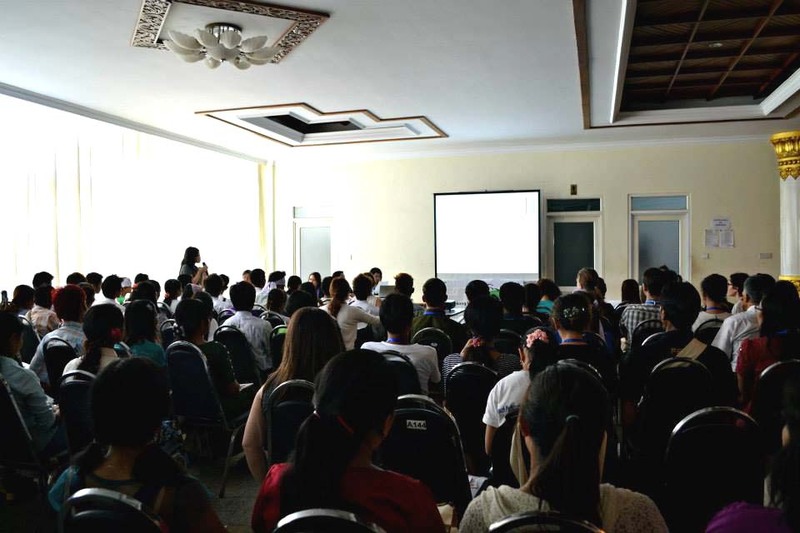 On 22 March 2014, the Mekong Migration Network (MMN) held a workshop entitled “the Bottom of ASEAN”, during the 11th ASEAN civil society conference / ASEAN people’s forum held in Yangon, Burma/Myanmar. 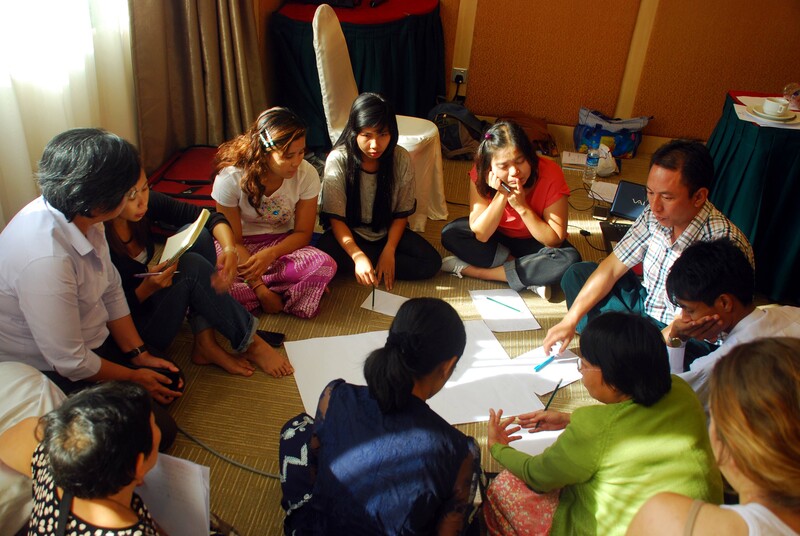 The workshop was co-hosted by Legal Support for Children and Women, Cambodia, Foundation for Education and Development, Thailand, Generation 88, Myanmar, APWLD, and Workers Hub for Change, Malaysia. 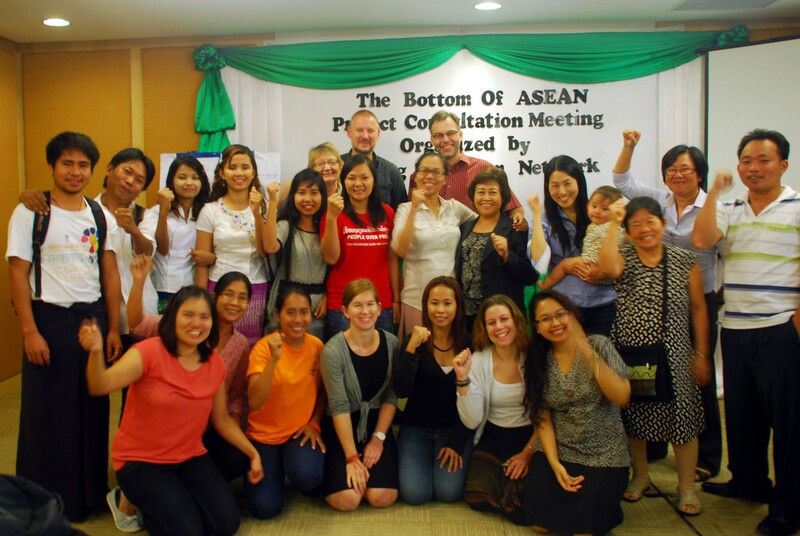 Over 100 participants from 15 countries, including 50 workers from industrial zones in Burma/Myanmar, and labour activists from Cambodia who have been active in the recent garment worker strikes in Phnom Penh attended the workshop. 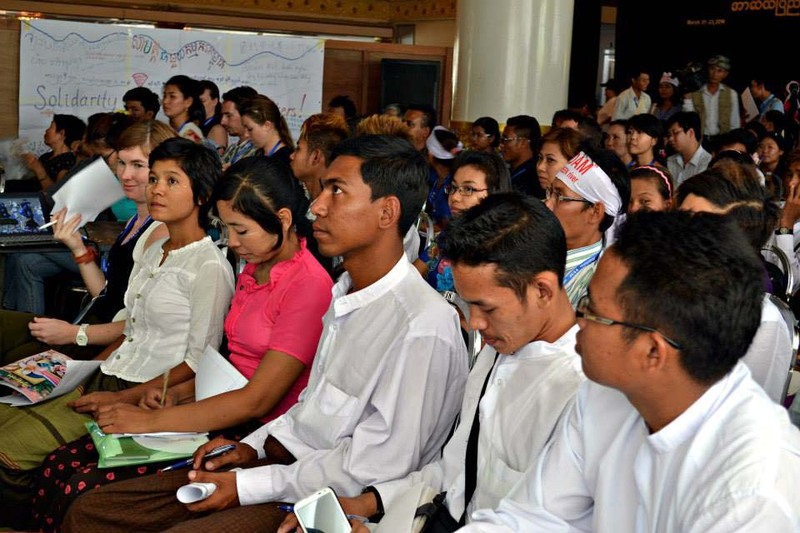 This workshop offered an excellent opportunity for Burmese workers and Cambodian workers to exchange their experiences and strategies to address common challenges. 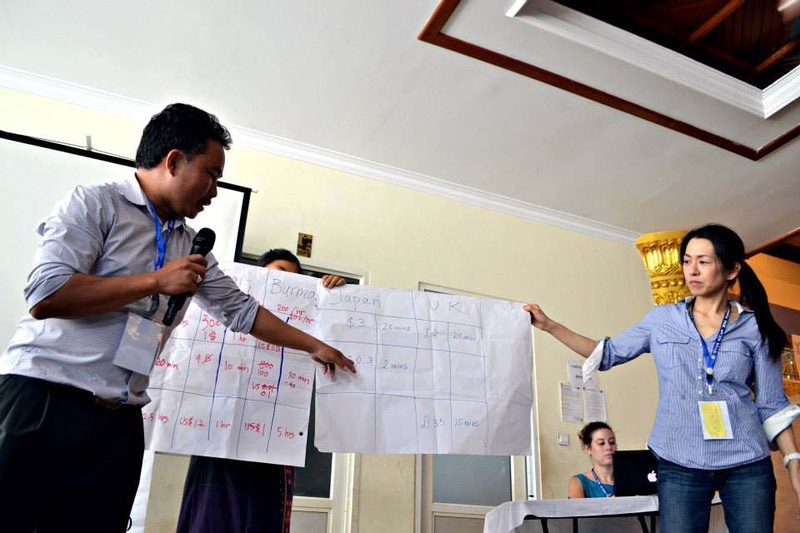 The workshop included an interactive activity in which participants calculated how long workers have to work in order to buy basic commodities in Cambodia, Thailand and Burma/Myanmar. These calculations were then compared to wages and purchasing power in investor countries such as Japan and the UK. 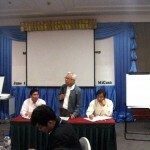 A panel of speakers, including representatives from Burmese and Cambodian labour rights movements, spoke about the opportunities and risks arising from increased foreign direct investment in Burma/Myanmar; the current challenges faced by garment workers and their unions in Cambodia; the impact of investment projects on migration; the campaign for a living wage and a case study of a factory which does pay workers a living wage. 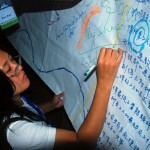 Participants also shared messages of solidarity with Cambodian workers on a banner. Immediately stop all forms of oppression against workers who exercise their right for freedom of expression and assembly, and their right to strike. 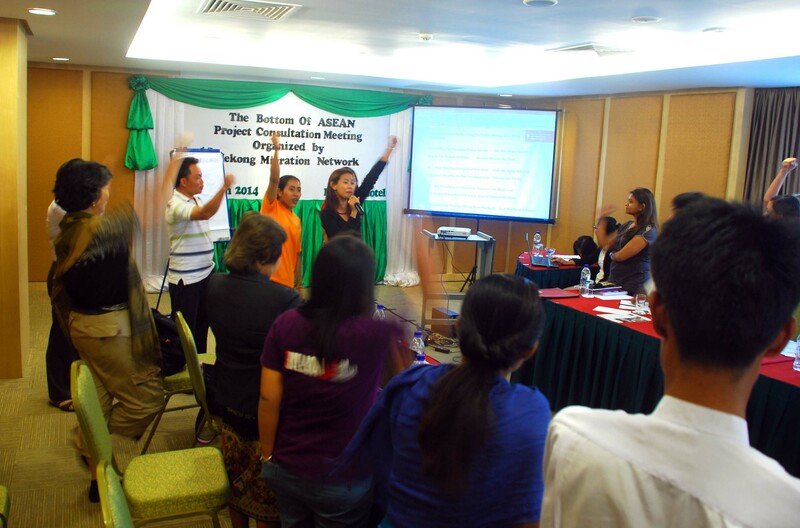 Ensure minimum wages are living wages and improve all working conditions for ASEAN countries (i.e. OHS regulations, 8 working hours a day, 40 hours a week, paid maternity leave, regular long term contracts). 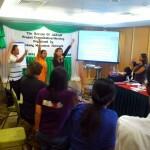 Create space for independent trade unions and migrant workers associations to participate in decision making in ASEAN. Expand coverage of social security to include all workers, including informal sector and migrant workers, and work towards portable social security systems and guarantee social protection to all workers, including informal sectors and migrant workers, and work towards portable social security systems. Abide by international labour standards even when the national standards fall below. Adhere to international standards on corporate respect for human rights (UN Guiding Principles on Business and Human Rights) in addition to self-regulating codes of conducts and/or business ethical principles. Ensure that investments do not lead to loss of livelihood, displacement, violation of human rights, and environmental destruction affecting the communities and future generations. Ensure that workers throughout the supply chain are paid a living wage, which may necessitate reforms of sourcing policies. 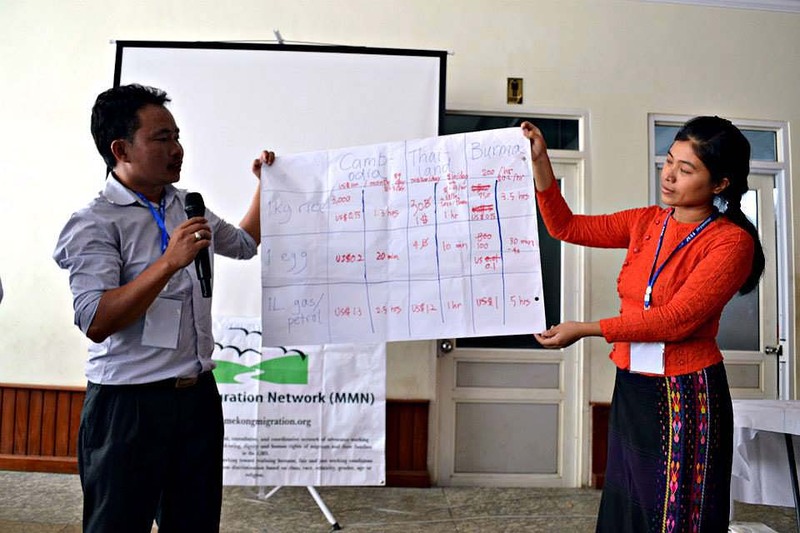 Key recommendations from the MMN workshop were incorporated into the final civil society statement of the ACSC/APF available in English and Burmese. 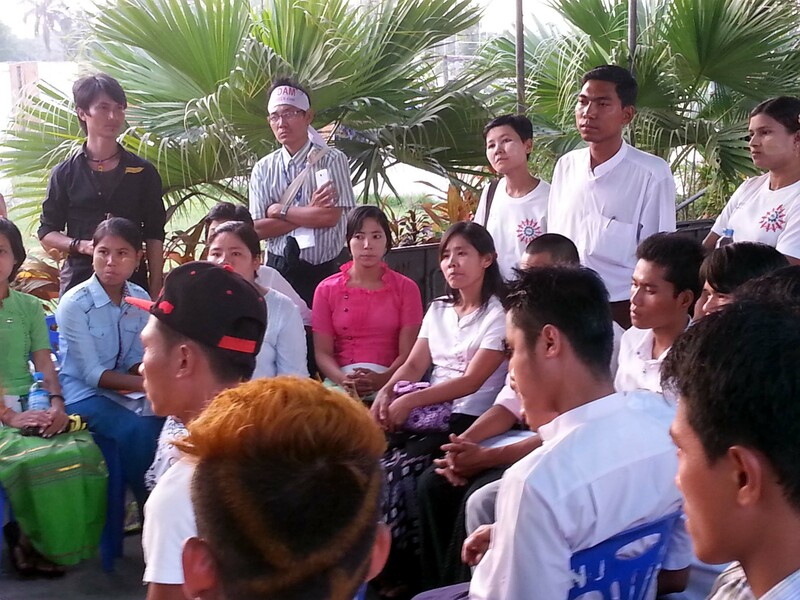 At a special session after the workshop, Cambodian and Burmese workers continued to share their ideas and concerns, as well as some solidarity songs. 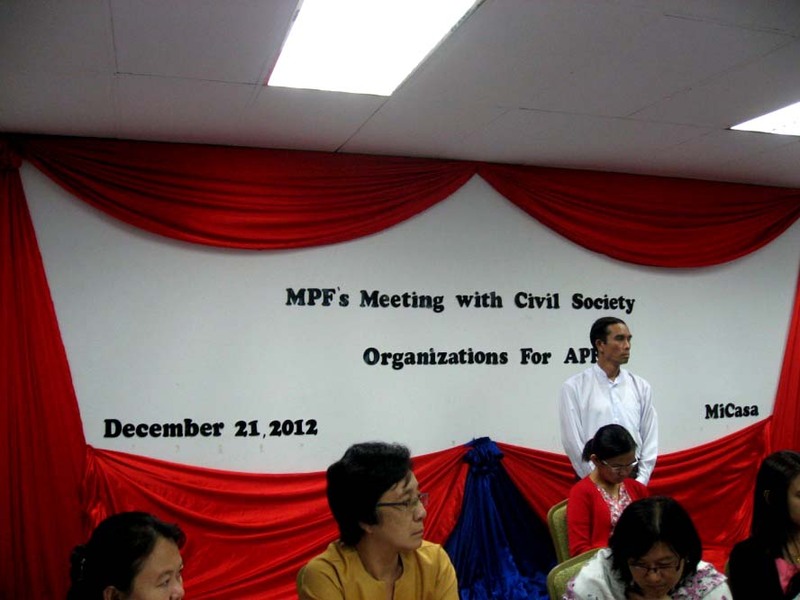 MMN has regularly attended monthly preparatory meetings on organising the ACSC/APF 2014 in Burma by Myanmar People Forum (MPF) in Yangon since December 2012 and throughout 2013. 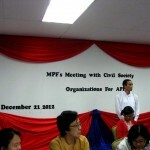 The MPF is a Yangon-based local organisation that initiated the organising of ACSC/APF 2014 in Myanmar with the participation of the civil societies. 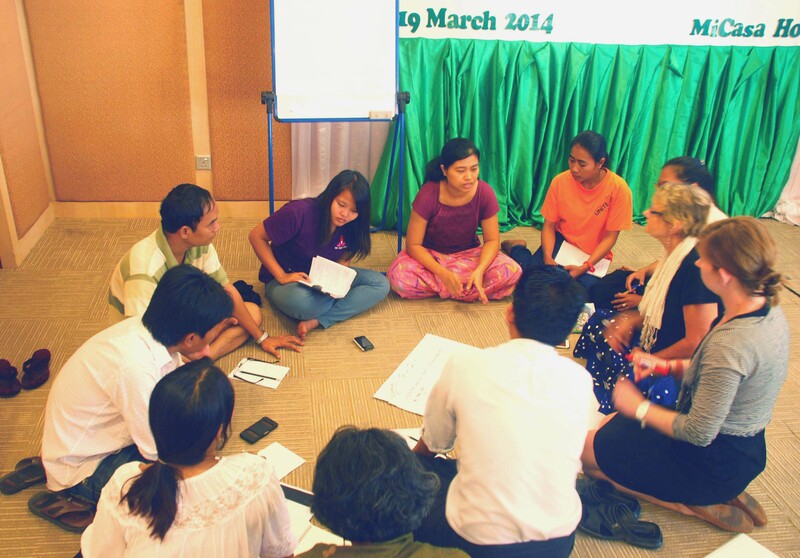 By attending these meetings, MMN is able to network with various local organisations and remain regularly informed of the process of the organising the ACSC/APF meeting in Myanmar in 2014. 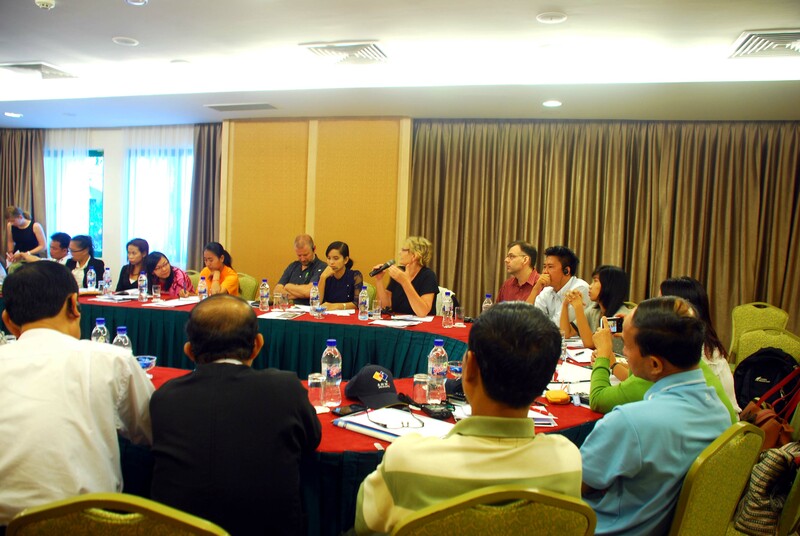 On 13 and 14 June 2013, the MPF with the assistance of various local organisations organized the 1st ACSC/APF 2014 Local Consultation Meeting. MMN participated as an observer at this meeting, as it was mainly about how the local organisations could get involved in the whole ACSC/APF organising process, and contributed to the drafting process of the structure of the ACSC/APF 2014 organising committees, which consist of the Steering Committee, Organising Committee, Programme Committee, Drafting Committee, Media Committee, and Finance Committee. 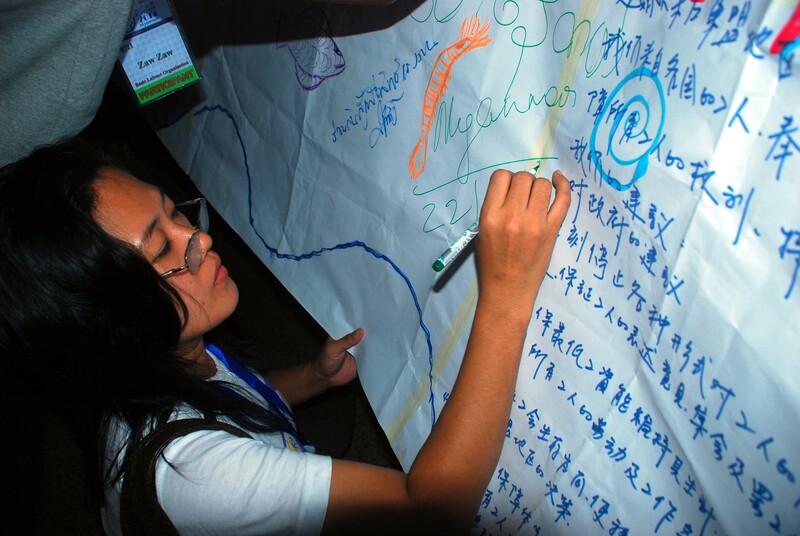 The roles of the above mentioned committees were also discussed and drafted by the participants. 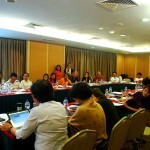 The participants also self-nominated to join various committees except the Steering Committee at this meeting. The roles of the regional organisations in the ACSC/APF 2014 organising process were also discussed, and the participants agreed that the regional organisations should elect representatives to join the Steering Committee, Programme Committee, Drafting Committee, and Media Committee. 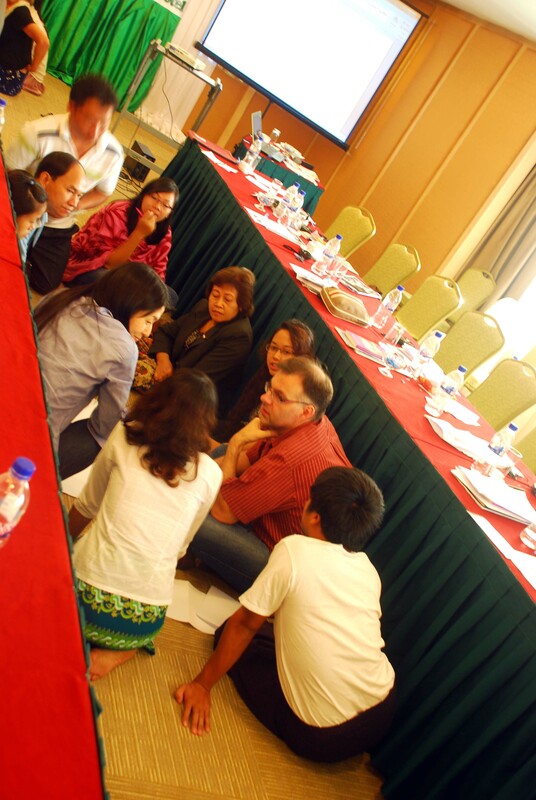 The 1st ACSC/APF Regional Consultation Meeting took place on 4and 5 August 2013 in Yangon and was attended by MMN. It was agreed at this meeting that the regional organisations and networks had to self-nominate to join the various committees of the ACSC/APF organising committees and that the online vetting process would take place. 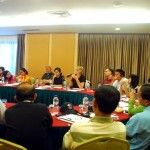 Following this meeting, the MMN joined the Steering Committee and Programme Committee as a regional network. 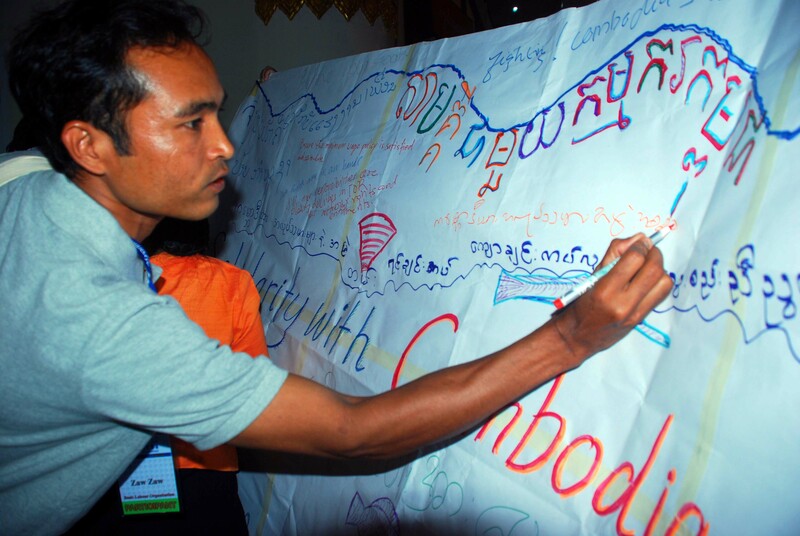 MMN also attended the 2nd Regional Consultation Meeting in Yangon on 20-21 October 2013. 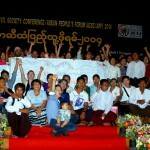 During January and October 2013, the MMN networked with civil society organisations in Myanmar, including the 88 Generation Open and Peace Society; Thabyay Education Foundation; National YMCAs Myanmar; Lawyers’ Network Myanmar; Women Organisations Network (WON); Women Galaxy; Farmers Union; Action Labour Rights; Labour Rights Defenders and Promoters; Rural Development Network; and Migrant Workers Rights Network. As a part of its advocacy strategy, the MMN has also maintained a regular contact with officials from the Myanmar Ministry of Labour, Employment and Social Security and monitored the updates on policies and laws on labour and migration issues in Myanmar. 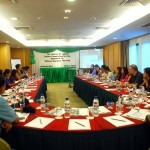 At this meeting, a brief history of MMN, its activities, and achievements since MMN was launched ten years ago were presented to the participants. 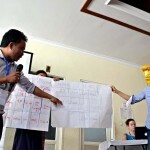 A section on critical analysis of opportunities and challenges or obstacles arising from the changing political, legal, economic, social and technological landscapes in Myanmar was an important part of the meeting agenda. Mr. Htoo Chit (former MMN Steering Committee member) also joined the meeting and shared his experience as a former SC member and an active member of MMN. The section on how to become a member of MMN was the last agenda of the meeting. Following this meeting, several local CSOs expressed their interest in MMN’s work and indicated that they will formally apply for the MMN membership in the near future. 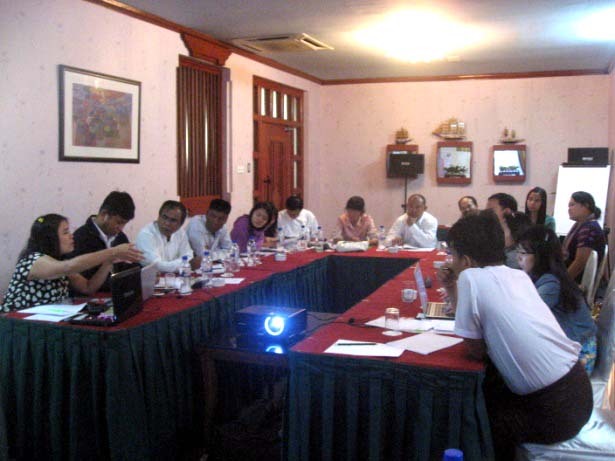 As a part of the APF program in 2012 in Phnom Penh, Cambodia, MMN organised a thematic workshop entitled “The Bottom of ASEAN” on 30 March 2012. 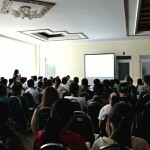 The Workshop was attended by around 40-50 participants. The workshop was convened to examine the impact on the countries of the Greater Mekong Subregion of the ASEAN Economic Integration of 2015. 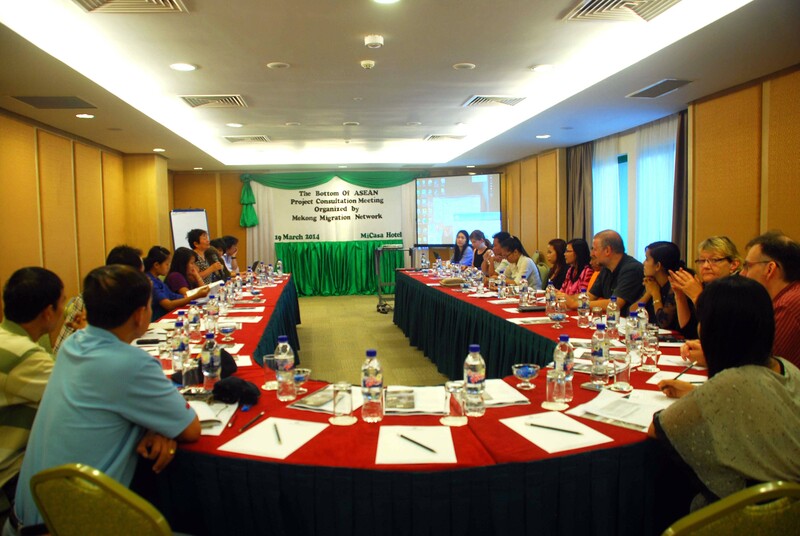 Workshop participants expressed concern that the ASEAN Economic Integration would enforce and expand the existing discrimination between the rights and conditions for skilled and unskilled workers. The current framework for the ASEAN Economic Integration promotes the free movement of only skilled workers, ignoring the future of the millions of workers in low skilled jobs. In the race to the bottom, they feared that many unskilled workers in the region would be left at the bottom forever. The participants felt that the provision of skills training and career opportunities for all workers and particularly unskilled workers was urgently needed. 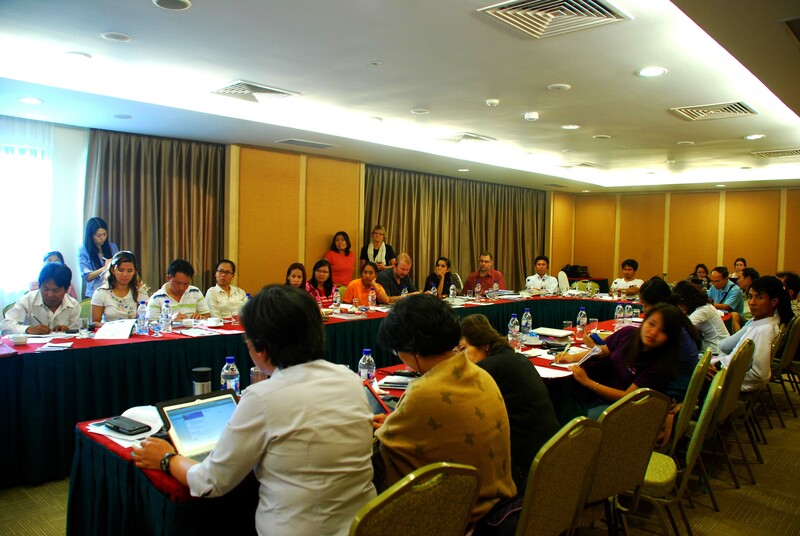 The participants also expressed concern at the frequent usage of the term “cheap labour” by not only business people but also politicians and even ASEAN representatives. 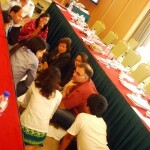 The workshop hoped that the media might in the future challenge anyone who uses this term. The media could for example ask whether those talking about cheap labour were actually talking about exploiting workers and paying less than a living wage.